Accomproperties continues our ‘review’ of David Ruxton’s illustrious career as it paralleled the evolution of the management rights industry from the early 1960s. Valuable insights are provided by industry advocate, SP&G Lawyers partner John Punch. It was also around the late 1970s when retired army colonel Dave Allen entered the scene, buying his first management rights and pledging to grow the industry through greater professionalism. Dave formed the management rights chapter of the Real Estate Institute of Queensland (REIQ) and went on to become institute president. When he started selling management rights, he also became involved in training people to get their real estate license and opened the door for management rights to expand beyond the Gold Coast, to Brisbane, the Sunshine Coast and the rest of Queensland. 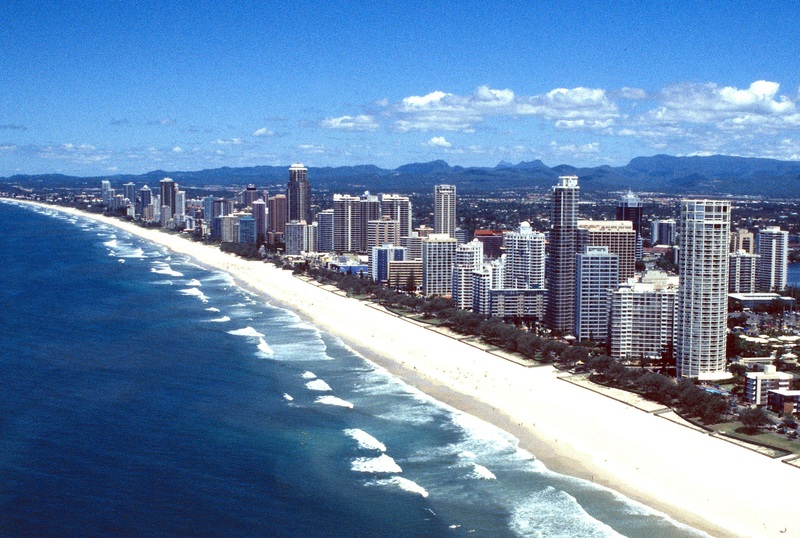 Backing this progress, the Queensland government - then led by premier Sir Joh Bjelke-Petersen, made the growth of tourism and encouragement for property development a priority, and it was Sir Joh who famously pointed to the number of cranes on the Gold Coast horizon as the barometer of economic prosperity. 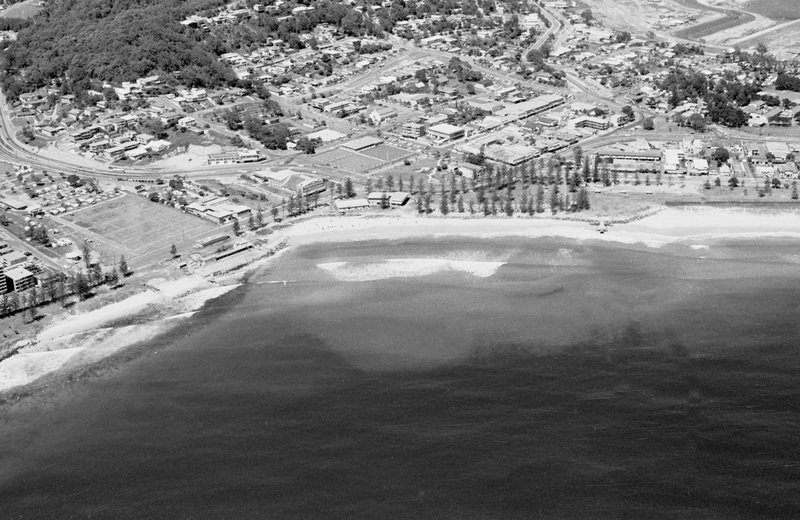 From 1984 to 1987, David purchased and managed his first management rights in Breakers North, Old Burleigh Road. Both purchase and sale were handled by Dave Allen. In 1987, David chalked up yet another record, purchasing Beach Haven in Albert Avenue, Broadbeach and became the first building to break the $1 million price tag. David worked the property for eight years before selling it in 1995 for $2.5 million, the highest price for management rights at the time. During this tenure however, David was approached by a Japanese Company to manage a building for them in Cairns. The building was 181, The Esplanade, Cairns and turned out to be the initiative the spawned the Australian Holiday Management Group, a syndicate made up of Lyall Guthridge from Burleigh Beach Tower, Ross Heldon from Gold Key Apartments and Alan Midwood who wrote regular articles for the Bulletin and authored the monthly Midwood Report; the first dedicated property newsletter and forecaster of the industry. 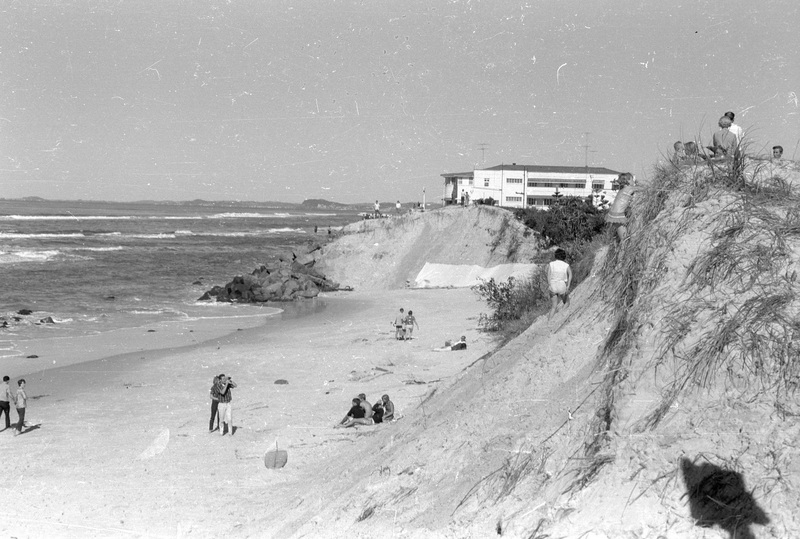 Growing from strength to strength, the intrepid quad then set their sights on Aruba Sands, Aruba Beach and Aruba Surf - three new Broadbeach-based resorts built by Bill Nicaforidis of Niecon Developments, for a “modified price” because the development company had given a “guaranteed return” to certain owners for a two-year period. Unfortunately, a downturn in the market just after the first building came online saw them needing to exit the deal and David and Jo moved on to open and manage Marrakesh and Bel Air for high-flying Gold Coast developer Jim Raptis, until he decided to sell. The downturn worsened, impacted by an occurrence that was entirely out of the industry’s control. The 1989 Australian pilots' dispute was one of the most expensive and dramatic industrial disputes in Australia's history. Coordinated by the Australian Federation of Air Pilots (AFAP) to support its campaign for a pay increase, the dispute severely disrupted domestic air travel in Australia and had a major detrimental impact on the tourism industry and many other businesses. Bookings dropped dramatically and once again the operators were grasping for ways to attract visitors. David remembers that at the time there was an increase of travel wholesalers from New Zealand on the coast, ostensibly looking for properties and tariffs they, in turn, could offer the New Zealand traveller. He had his rates printed and ready to go, welcoming them with open arms when they arrived at the property, but they would only accept the prices on the basis that guests would get two weeks for the price of one. So, David looked abroad. He set his sights on Singapore, Malaysia, Brunei and Noumea - as their holiday seasons were in February and it was traditionally slow on the coast – yet another expensive lesson began. As the first apartment operator to go to Singapore, David spent hundreds of hours explaining the concept and benefits of the self-contained apartments to the foreign travel agents. The approach seemed to be well accepted and he was so confident that he returned the following month and several more times after that – each time the agents welcomed him warmly but ten months in there had only been three bookings. Exasperated, he confronted the agents asking what it was that was holding things up; only to be told that “they weren’t interested in apartments, they wanted condominiums similar to those found in America and Honolulu”. David realised that he had not listened intently enough to what they wanted, or understood that an apartment in Singapore meant something different and was definitely not deemed appropriate for tourists. He clarified the misunderstanding and within weeks there was an influx of Singaporeans on the coast that lasted for a couple of years. The industry resumed its growth and management rights flourished along with Queensland’s dynamic tourism and property industries. By the late 1980s, as David wed his partner Jo, management rights took its place as a valuable industry in its own right. With significant growth however, there was also the introduction of a number of new players that didn’t appear to understand or appreciate all that had gone before and there came a period of challenge, particularly for the ‘old guard’ of the AOA. Management rights owners found themselves defending their businesses. Some attacks, John Punch acknowledges, were well intentioned. Others were borne of petty jealousies and power plays. Concerned that the challenge for leadership may destroy the ongoing production and distribution of the sought-after and successful accommodation booklet, David and Frank Kelly again teamed up and approached the government urging them to take on the publication as a tourism initiative. In the relatively short space of a month it was agreed to, and not long after that the highly acclaimed Sunlover Program was launched by Sir Jo Belke-Petersen and his cabinet. Cases were well-researched to exploit loopholes, and a series of actions were mounted in an attempt to break down the management rights industry. While building managers struggled to individually fund their defences, body corporate committees financed their cases using the pooled resources of unit owners. A raft of cases tested various aspects of the law: Was the manager’s agreement subject to the same term limitation as the body corporate managers? Did body corporates have the power to make letting agreements? Were agreements limited in time? It was the catalyst for management rights owners to unite for the first time, thanks largely to John Gardner, who formed Queensland Resident Accommodation Managers Association (QRAMA). It was 1991, and a fighting fund was raised to lobby the government for better laws. “Everyone saw the need – body corporate managers, banks, the REIQ, developers. The Queensland government had to act. During a long process, all parties came to the table and eventually the Body Corporate and Community Management Bill 1997 was presented to parliament, though not without dissent. The Bill was finally passed after eight years of work to satisfy all interests, providing a legislative framework that accommodated the establishment, operation and management of community titles schemes. It was unique and Australia led the way. Punch recalls, “The new Act, balanced and succinctly expressed, meant financiers, developers, existing operators, buyers and sellers all knew where they stood. There was plenty of development in Queensland, plenty of need and plenty of opportunity for new management rights, so there was a rapid increase in the value of management rights. It also produced, for the first time, a 25-year term for management rights and bought in modules of legislation recognising different types of buildings. It gave depth to developments by allowing the layering of schemes. It was into this environment then that two ambitious business men launched their highly publicised foray into management rights – logistics and travel entrepreneur, Chris Scott, and former AFL player and schoolies accommodation pioneer, Tony Smith. In 2001, Scott saw the opportunity to conglomerate a series of large buildings to create S8 - a viable public company, and set about capital raising to build an accommodation empire. Similarly, Tony Smith founded Break Free Limited. He brought in the holdings of the respected Frawley family and other key industry operators, such as John Gardner and Russel and Adrian Leary also sold in. “It changed the ballgame completely,” Punch said. “Management rights drawn into these public companies effectively achieved a stock exchange valuation that translated into multipliers of double or more than originally valued. This world of big business was a far cry from the traditional family-owned management rights model that previously prevailed. Resistance to the public companies came from some body corporates, but by and large, the corporate push drew in large resort-style accommodation buildings. Smaller properties and permanent complexes continued to operate as before but they could not be shielded. While the various management rights models coexisted, this period had far-reaching consequences for the whole industry. In 2002, David and Jo, re-purchased Beach Haven in a partnership. Remarkably, at the time of purchase the management rights only had 12 months remaining and the dynamic team had their work cut out to secure a rapid 74:1 approval in order to get the contract period extended to 20 years. The property was sold in 2016. At the same time, David and Jo formed Dreamtime Resorts. The Mudgeeraba-based operation still manages 15 buildings on the Gold Coast, in Brisbane, Bedarra and Cairn and employs five full time staff. By the mid 2000s, the likes of S8 and Break Free were so successful they were being eyed as takeover prospects. Each tried unsuccessfully to take over the other, leaving the door open for CVC Asia Pacific and Octaviar, previously MFS, to purchase both to form the Stella Group, with signature brands Mantra, Peppers and Breakfree. This period was characterised by stable laws, a wealth of new development and burgeoning demand for investment in Queensland. Prosperity in the management rights industry was also underpinned by the strong advocacy of QRAMA under long-time president Kim Cox. In 2007, QRAMA was changed to the Australian Resident Accommodation Managers Association (ARAMA) to ensure the association was involved in the national agenda as Australians further embraced community living and the industry continued to grow. But a major shake-up was about to unfold. In 2007, came the dawn of the global financial crisis. For companies that had been on spending sprees, overpaying for assets using excessive debt, the crunch had come. Returns on investment couldn’t sustain high levels of borrowings when the credit crisis hit and company after company went to the wall. In the wake of the demise of the corporate players, 2010 and 2011 saw more management rights sold under receivership conditions than ever before. Approximately 50 percent of all management rights were owned by New Zealanders and the industry nosedived due to corporatisation and the sudden lack of demand from the island state. Cairns, the Gold Coast and the Sunshine Coast were the hardest hit with small investors who bought hotels and resorts at top dollar needing to cash out. Resort Brokers managing director Ian Crooks recalls the industry being decimated. “The accommodation sector, like most, spent the next ten years adjusting and a consolidated, somewhat strengthened industry has emerged. The strength of the management rights industry is also intrinsically linked to leisure travel, as well as to the ever-growing trend toward apartment living as a permanent residential choice. Strata apartments represent the most popular form of tourist accommodation in Australia’s major tourist destinations and they are the increasingly the popular choice for down-sizing baby-boomers seeking low-maintenance, leisure-focused lifestyle in prime locations with lock-and-leave security and convenience. In both these segments – short stay and permanent letting – there is a solid outlook for management rights. Another positive has been the growth in the strength of ARAMA. The durability and resilience of the industry is manifest in the participation of management rights owners in the industry body ensuring a very strong voice and solid industry base to the public and to government. It is important to note that the Australian model of management rights has been adopted in several international markets, including the Asia and Pacific region, across both domestic and holiday living complexes, and that there are many Australian managers that are operating in these countries. When asked if he would do anything differently given the chance, David said: “No. I realised very early on that the secret to this industry is collaboration, communication and respect. It’s important that every person and interaction is viewed with the aim of creating and maintaining harmony – it hasn’t always been like that, but I believe the industry is still moving in the right direction. “Take advantage of the learnings that have gone before, maintain industry memberships, attend the training and networking opportunities and work closely with your owners and committees – ultimately, it comes down to what you’re willing to put into it. “Management rights has had a wonderful, if not downright colourful history,’ adds David. “Over the years I have had numerous people ask me to explain to them how it all came about, and all I can say is that credit must be given to those people who wanted a holiday. The people that came looking for value and the many men and women who were prepared to work hard, try new things and risk their hard-earned money to pursue an opportunity. The industry came about from making sure we met that need.